This in-depth study of Armenian identity deconstructs the highly politicized nature of „Armenian Genocide“ campaign and demonstrates that it has little to do with historical realities. 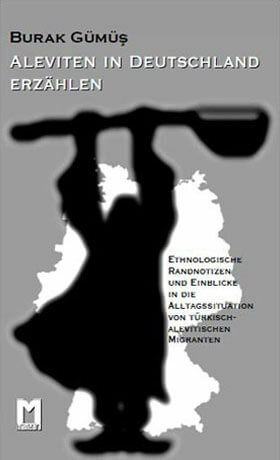 It also highlights major international and domestic factors that inform and drive the campaign. 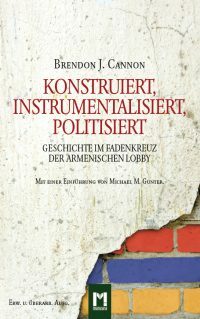 In doing so, the author conclusively shows how the campaign’s wanton use of the term „genocide“ for political purposes actively undermines international legal norms and negatively affects both Turkey’s and Armenia’s international relations. Three, by deconstructing the role the trauma of 1915 plays in the development and fecundity of Armenian large group identity, as well as its transmission from generation to generation, an understanding of the quest to legislate reality through the politicization of history is gained. That is, century-old images and caricatures, often racist and bearing no relationship to present-day realities, underpin the campaign (the terrible Turk, anti-Muslim sentiments) and still carry weight – not only for Armenians but much of the West and Russia. 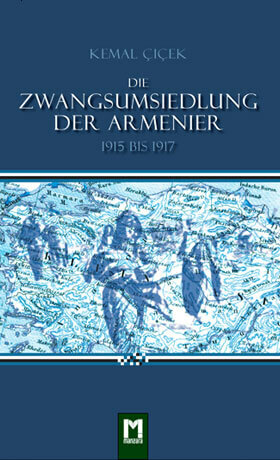 This has normative implications and this book demonstrates how Armenian identity, which drives and informs the Armenian diaspora’s campaign of Armenian genocide, recognition actively undermines the strict legal definition and therefore legitimacy that is the United Nations Genocide Convention of 1948. This is done through the wanton application of term “genocide” to the events of 1915, which undercuts established definitions and norms and therefore allows and encourages the rather elastic use of the term for political gain. This further undermines the symbolic weight and power of the UN convention and thereby complicating the courts ability to punish genocide perpetrators. "This is the most comprehensive book I have seen detailing the politicization of the term genocide, its abuse and attempts to legislate reality. 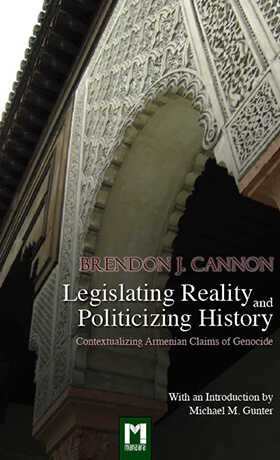 Brendon J. Cannon weaves history, politics, memory and the law together to offer a sophisticated analysis of why and how the Armenian diaspora and other Turkophobic groups marshal resources in their attempt to gain recognition that the events of 1915 constituted a genocide. In doing so, Cannon offers a comprehensive account of the attempts to rewrite history through the strategies of definitional elasticity and ad hoc legislation. 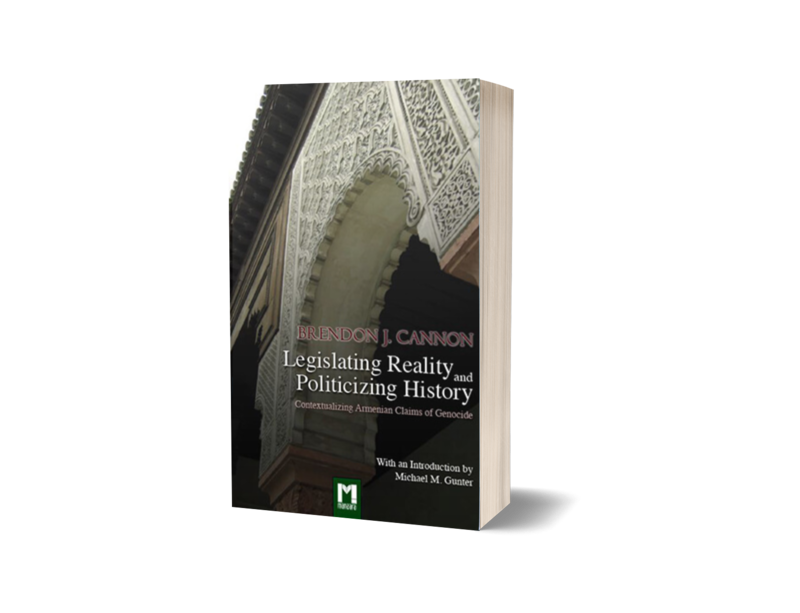 This book offers a stirring critique of those who seek to use legislative power to establish an overtly politicized version of history in relation to the highly tragic and complicated demise of the Ottoman Empire. It also shows that those who seek to label these events as genocide and criminalize alternative interpretations of the past do so by circumventing legal norms and conventions, thus undermining the validity and importance of the global legal regime and the very term “genocide.” Cannon illustrates the negative consequences of this retrospective moralization of history and its destructive impact on free speech and inquiry." M. Hakan Yavuz, Professor of Political Science, University of Utah; author of War and Collapse: World War I and the Ottoman State. Dr. Edward J. Erickson, Professor of Military History, Marine Corps University; author of Ottomans and Armenians: A Study in Counterinsurgency. Sevtap Demirci, Associate Professor of History, Boğaziçi University; author of Strategies and Struggles: British Rhetoric and Turkish Response:the Lausanne Conference (1922-1923). Jeremy Salt, Professor of History; author of Imperialism, Evangelism and the Ottoman Armenians, 1878-1896 .